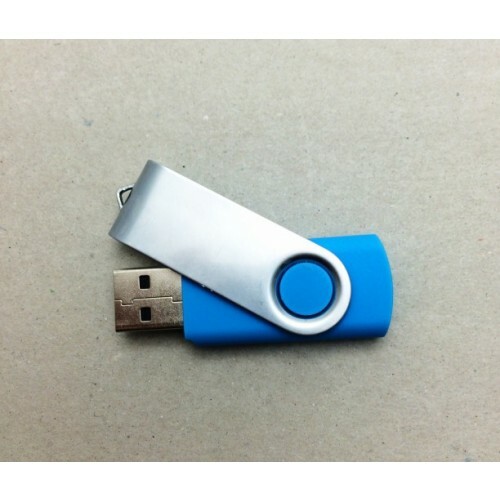 Great things also come in small packages just like the custom Swivel Flash Drive. 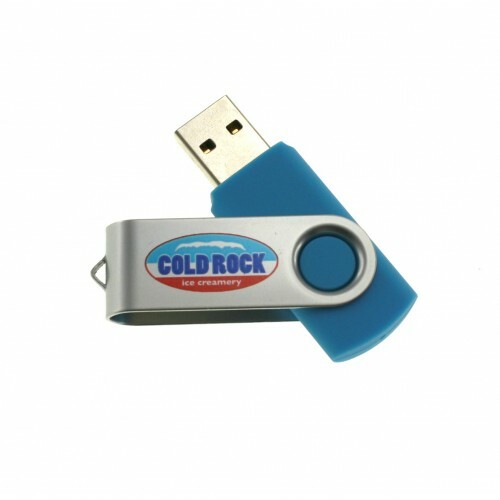 This small yet powerful storage device is the perfect marketing tool to improve brand recognition. 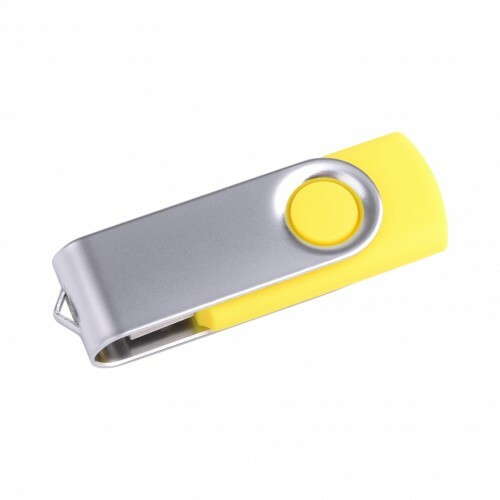 Made with high quality metal and plastic material you can rely on this promotional item to be around for many years. 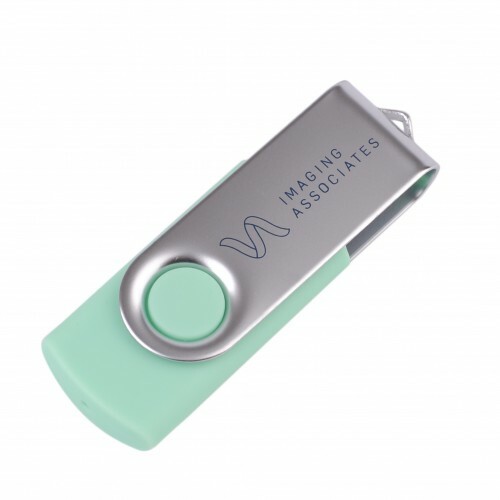 Printed flash drives are welcome by potential customers so be sure to hand them out during events and conferences. The price we quote already includes a one colour one side logo print and print set up is free. 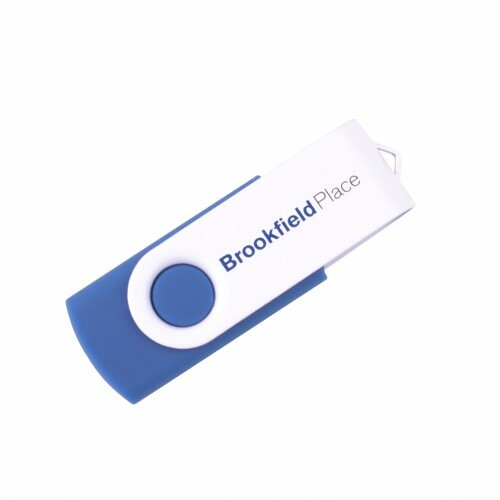 This flash drive has a size of 57 x 20 x 11mm and can be printed with your corporate logo or artwork on its print area of 23 x 12mm. 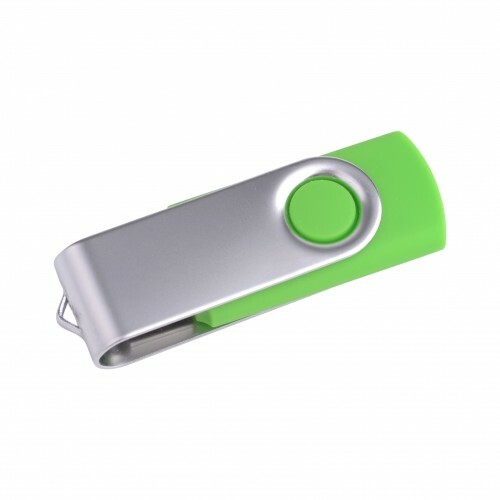 This customised flash drive can come in various storage capacities including 1GB, 2GB, 4GB, 8GB and 16GB available. 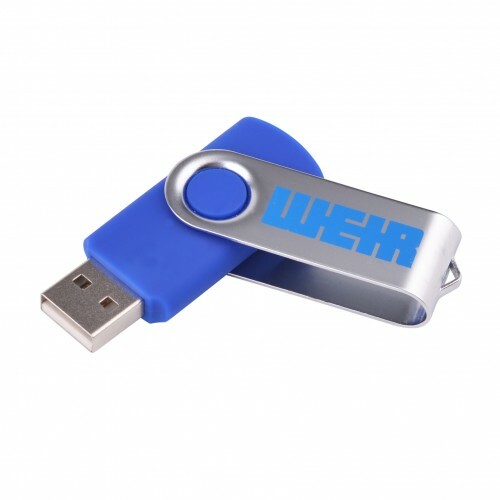 We can also load your branded flash drive with data of up to 150MB at no extra cost. The printed flash drives are packed in individual polybags. You can request for optional accessories such as a magnetic gift box/ tin case/ PVC clear case/ mini lanyard/ long lanyard/ key ring and velvet pouch. 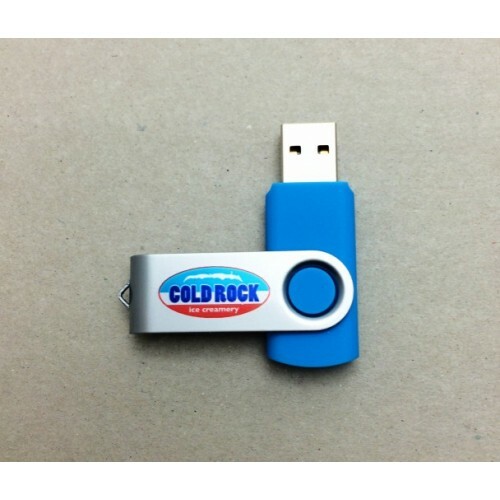 Branded USB flash drives take 2 weeks in production. 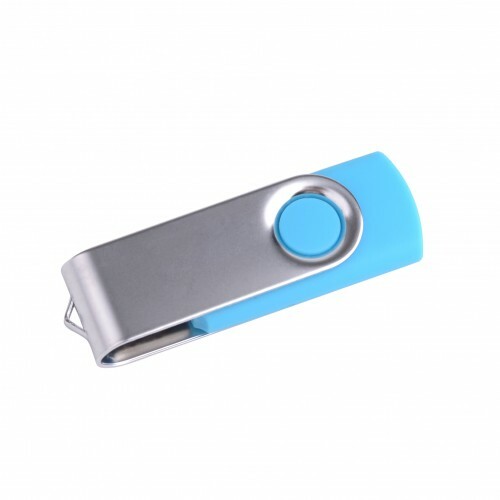 This style of flash memory is available with a Promotional USB fast delivery service. Prices do not include GST. Delivery within Australia is at cost price. Delivery is overnight to Sydney metro area. Melbourne Brisbane or Canberra is 1-2 working days. For other Australian cities delivery is upto 5 days. When it comes to putting your own distinctive touch on your USBs, it can be tough to make a call on the exact branding method. 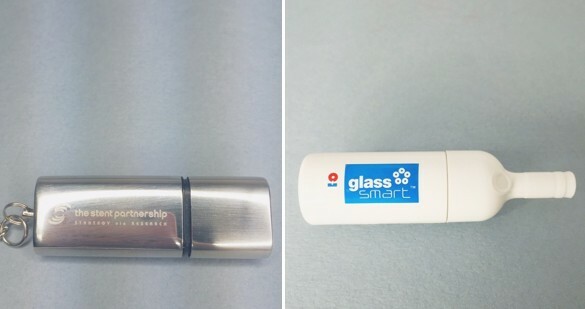 After all, our Swivel Flash Drives have a metal outer that can host both printed branding and laser engraving of your design. So which should you choose? Pad printing means we use our printing machine to add your logo to the outer metal swivel in your choice of bold, bright colours. This method is budget friendly and suited to replicating your brand's PMS colours. Another option is laser engraving which we use to etch your design into the swivel. 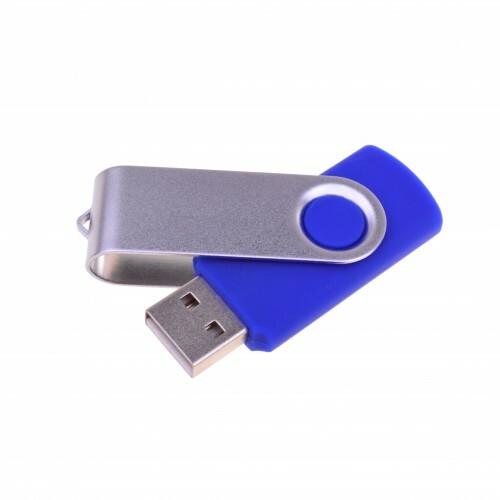 Colours cannot be replicated and this option is only suitable for metal areas, but it's a great option if you want your design permanently placed on the flashdrives. If you're still not sure which branding option is right for you, simply contact our friendly sales team and we'll be happy to talk you through the branding process.